Resolve Optics announces focus corrected SWIR lenses that benefit from a novel design that maintains maximum performance throughout the Short Wavelength Infrared spectral range (900 – 1700nm) without the need for refocusing. 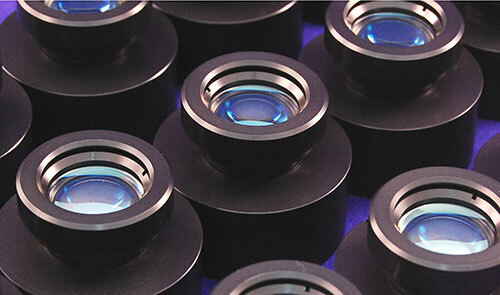 Traditionally most lenses available for SWIR applications have been lenses designed for the visible but have AR coating for the 900 -1700nm region. However using the latest generation of higher resolution SWIR sensors the shortcomings of these lens (poor resolution and poor colour correction) is noticeable. Resolve Optics focus corrected SWIR lenses deliver unmatched resolution and colour correction (900 -1700nm) ensuring that you get the best possible image from your camera or sensor. In addition these lenses offer the benefit of removing the need for constant refocusing to achieve optimised, high resolution images at all SWIR wavelengths. For further information on focus corrected SWIR lenses contact Resolve Optics on +44-1494-777100 / sales@resolveoptics.com.